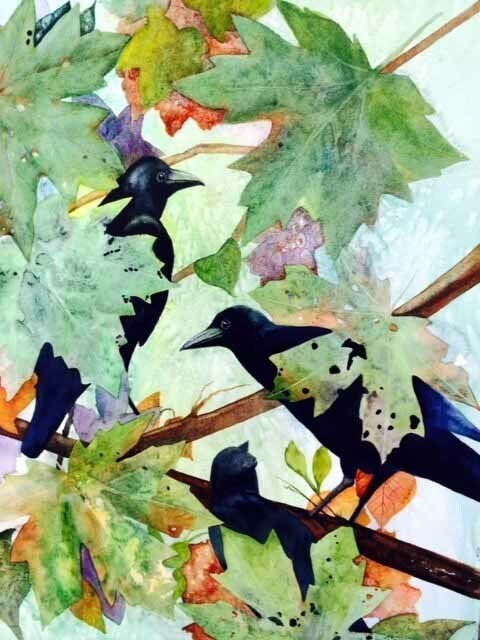 Molly LeMaster is primarily a self taught watercolor artist who lives on Camano Island with her husband and two parrots. In addition to watercolor she also paints with acrylic inks and also works in mixed media. She has studied with several well known artists and has participated in watercolor workshops both locally and internationally. Upon retiring several years ago, she returned to her love of painting which had been put on hold to raise a family. Living on the island, nature is a constant source of pleasure and inspiration for her work. She and her husband have traveled extensively in Europe, Asia and Mexico and these travels have also greatly influenced the subject matter of many of her paintings. She has paintings in private collections in the United States, Egypt, England, Germany, Thailand and Canada as well as in corporate art collections in Seattle. Molly has won numerous awards and is teaching ongoing classes and hosting workshops locally. Find more information at her website.